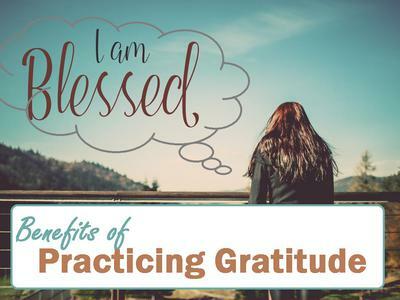 Science has proven that being grateful leads to a higher quality of life. People who express gratitude regularly live longer, are healthier, and also have a lower incidence rate of overweight, obesity, stress, anxiety and chronic disease. The following 7 benefits are just a few of the many rewards of practicing gratitude every day. Being grateful every day means telling the important people in your life that they matter. This improves your relationships on a daily basis. Worrying about what you don't have is very stressful. When you experience mental and emotional stress, your body releases stress hormones. These impact your body in a negative way, causing physical and emotional health problems. The stress relief you receive from being thankful leads to a healthier body and mind. Human beings are social animals. We were not intended to live a life of solidarity. People who are not grateful for the gifts in their lives tend to stay away from others. They huddle away in their homes, fostering a negative view on the world. When you appreciate the people and things in your life, you naturally want to socialize more, to reap more grateful benefits. The exact scientific and physiological connections between gratitude and better health are not entirely known. That doesn't mean that positive effects noticed in grateful people can't be tracked. One benefit scientists and sleep researchers have found in people that express gratitude regularly is healthier sleep patterns. This leads to better mental and physical health in a number of ways. Several studies show that keeping a gratitude journal daily can increase your long-term well-being. One study shows that simply writing down the things you are grateful for every day can increase your health and well-being by more than 10%. Those studies showed that happiness level was the same as people who double their income! This one is easy to understand. When you tell people they are important to you, that they matter, this makes them feel good. They want to be around you. They will often times repay the gratitude. When you take the time to express how grateful you are for others, rather than leaving it unspoken and assumed, you become a more likable person. The Positive Psychology Progress study wanted to see how daily gratitude would affect depressed individuals. The results were nothing short of astounding. Keeping a gratitude journal "lowered depressive symptoms by 30+ % for as long as the practice was continued." When test subjects took the time to make a physical visit to someone and express their gratitude, that single visit "reduced depressive symptoms by 35% for several weeks."